I was in Florida teaching a reality-fighting seminar with Walt Lysak Jr. when Ultimate Fighting Championship legend Royce Gracie stepped into the octagon to face welterweight champ Matt Hughes. As I watched, I couldn't help but think how far the mixed martial arts have come since the sport debuted in the United States. Gracie is credited with starting it all when he triumphed in the UFC I in 1993, then went on to dominate the UFC II, III, IV and V. He retired with a record of 12-1. Through those battles, he single-handedly brought the art of Brazilian jujutsu—and with it the Gracie name—to mainstream America. A popular misconception among the public is that the Gracies invented jujutsu. They did not. The Japanese created the art centuries ago. 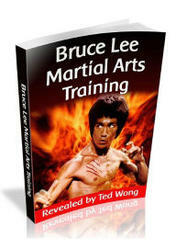 The Gracies merely modified it into a more efficient system for self-defense and sport fighting. In the early years of the UFC, fighters were not as diverse as they are today. As a result, Brazilian jujutsu dominated. But as the sport evolved, strikers learned to sprawl and to avoid the takedown, and they began to win against pure ground fighters. Eventually, competitors learned that they needed a complete skill set to win, and the pendulum swung back to the center. After all, the name "mixed martial arts" implies that no one system, style, strategy or tactic is fundamentally superior to all others. Success requires a variety of skills that allow the fighter to handle a broad spectrum of situations. Hughes is the poster boy for such diversity. One of the reasons he wins consistently is he excels at almost everything, but his real strength lies in his ability to do whatever it takes to win. He's proved that by building a 41-4-0 record. If any doubt remained, his convincing defeat of Gracie in the first round eliminated it. Now you can watch your favorite UFC fights whenever, wherever, and as often as you want! UFC On Demand features online access to a huge library of incredible UFC clashes - featuring everyone from the legends of UFC 1 to the champions of today. See past Pay-Per-View main events, UFC television programming, and get exclusive access to non-televised preliminary bouts. Subscribe today for unlimited access to the UFC video library. When you're Cooking for a fight, hit UFC On Demand! © Copyright H»€ ZuMa, LLC. A11 Fthghils Reserved. HeadFade Clippers truth of combat. The reason is simple: The martial arts are practiced by imperfect human beings whose performance depends on their experience, training, intelligence, physical ability, body type, age, fitness and psychology. other abilities and attributes you possess. In sport fighting, the worst that can happen is you'll get submitted or knocked out. On the street, however, you could get killed. tor will be the most critical component in interpersonal combat. To me, this fact was never more obvious than in the fight between Hughes and Gracie. It was evident from the start that Hughes was stronger, quicker and better trained for the current reality of the UFC than the man who once dominated the field. Although Gracie is one of the world's greatest competitors, this fact, coupled with a reliance on a one-track approach to fighting, led to his defeat. One reality of nature is that younger, stronger, faster lions usually dominate older and weaker ones. Arm that younger lion with a diverse mix of fighting skills, and his opponents will be in real trouble. The other factor that weighs heavily in any combative event is the dynamics of position and situation. That means what you may or may not be able to do is based on your position and situation. For example, if you're battling on the ground and your opponent gets your back, you have a limited number of techniques and options available, especially in sport fighting. You need technical and tactical solutions designed for that situation. If you don't have them, you'll probably lose regardless of the ning, he knew that all he had to do was survive the initial onslaught from strikers and get them to the mat, where he could employ techniques and tactics most martial artists weren't prepared for. On their feet, he knew, skilled strikers can be dangerous, but once on the ground, they're virtually unarmed. Or, at least, they used to be. In MMA and the reality-based martial arts, two key factors are diversity and adaptability. Mixed martial artists and reality-based practitioners must be able to deal with numerous combative scenarios. They must have diverse skill sets to adapt to whatever may come their way. Those who don't, place themselves outside the boundaries of reality. They risk missing the whole point of MMA training, one that Hughes demonstrated in no uncertain terms with his victory. About the author: Richard Ryan is the founder of the Dynamic Combat Method and co-founder of Integrated Combative Arts Training. For more information, visit http://www.blackbeltmag. com and click on Community, then Black Belt Authors. It's not a hairstyle. It's a lifestyle.